Nordstrom Just Did It To Me Again. Will You? Blog Nordstrom Just Did It To Me Again. Will You? This week I bought a new dress from Nordstrom. Well actually I bought it from their discount outlet Nordstrom Rack. It was a designer dress but I got an amazing deal on it and only paid about $40. It was a busy day in the store and the checkout line was long. I only had a few minutes before I needed to leave for a meeting and was about to bail out when with one call from a swamped cashier, suddenly 4 checkouts opened and every salesperson in the store carrying a mobile device appeared to take care of all of the customers. Basically we went from waiting to each being first in line. Nice. At the end of the day when I went home I took my dress out of the bag to hang it up and gasped. The plastic locked security tag was still attached to it. The salesperson had forgotten to remove it. I had an event to attend the next day and hoped to wear my new dress. I really didn’t have time to trek back to the store before then so resigned myself to finding something from my closet. I had been sent my receipt via email so replied to the email explaining what had happened and asking what I should do. While I secretly hoped there was some way I could get the security tag off myself, I already knew the answer. What I expected was a standard retail reply that they were very sorry and I should take the dress back to the store at my earliest convenience. But Nordstrom didn’t do that. Instead, I received a phone call, soon after sending my email, from the store manager. She asked which store I lived closest to. I explained that I lived about 25 minutes away from the nearest store so would not have time to go there before my event. “No problem”, she said, “give me your address and I’ll send someone there to remove it for you.” Seriously? For my $40 dress they were going to send someone to my home to make this right? Holy cow, that’s remarkable!!! Stories of Nordstrom customer service are legendary. Google them and you’ll be amazed. I was first introduced to the store about 15 years ago by my friend Erin. As she drove me there to shop, she told me a story about how she had purchased a dress for George W. Bush’s inaugural ball. She is from DC and her mom works in the political circles so she had the good fortune of being invited. She had purchased her dress at a significant discount and the day of the ball when she put it on the zipper broke. Erin called the store and they sent a seamstress to her house! I had my own early experience with them when I purchased a pair of soft leather shoes which after a couple of weeks looked completely worn out. Disappointed, I returned to the store hoping to get a discount off of my purchase or a coupon toward another purchase. Instead the salesman took back my shoes and asked me to pick out another pair that I liked better! I can’t tell you how much money I have spent with Nordstrom over the years, but I’m sure their profit has been a lot more than the cost of those soft leather shoes or sending someone with a security tag remover to my house this week. They will continue to be my “go to” store for clothing purchases and after sharing this story I have either reinforced your impression of the brand or perhaps enticed you to try them. The Nordstrom mission is as follows: “At Nordstrom, our goal is to provide outstanding service every day, one customer at a time. We work hard to make decisions in the best interest of our customers and those serving them. We continue to cherish our shared experiences, celebrate our achievements and appreciate one another — just like family. We trust each other’s integrity and ability. Our employees have a personal, financial and professional stake in the success of our company.” They truly live their mission. Do you? Can your business deliver a level of service that is truly remarkable? Do your employees feel empowered to go the extra mile for your clients? If they do, will your organization truly applaud and reward them? Will it make it easy for them to do so or do rules and centralized control get in the way? Do you have personal stories of extraordinary customer service from other brands? I’d love to hear about them. We all intuitively understand the need to deliver exceptional customer service but the trick is to build your processes and reward systems in such a way that this becomes the rule rather than the exception. 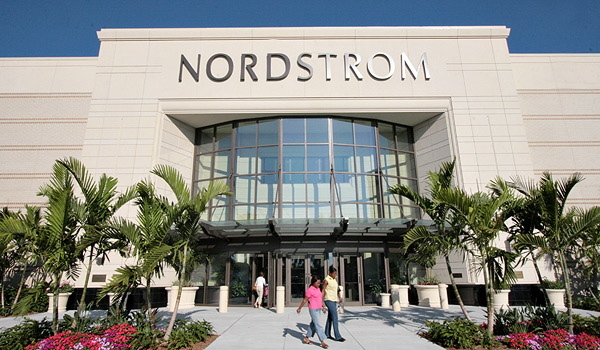 Nordstrom knows that by delivering exceptional service they will secure the lifetime loyalty of customers as well as their recommendations to others. In the end building an exceptional product or service is a far more successful and cost effective strategy than advertising.